Cafesjian Center for the Arts features a selection of Swarovski Crystal Palace chandeliers, designed by Vincent Van Duysen, Tord Boontje, Georg Baldele, Michael Anastassiades and Diller Scofido + Renfro Studio. 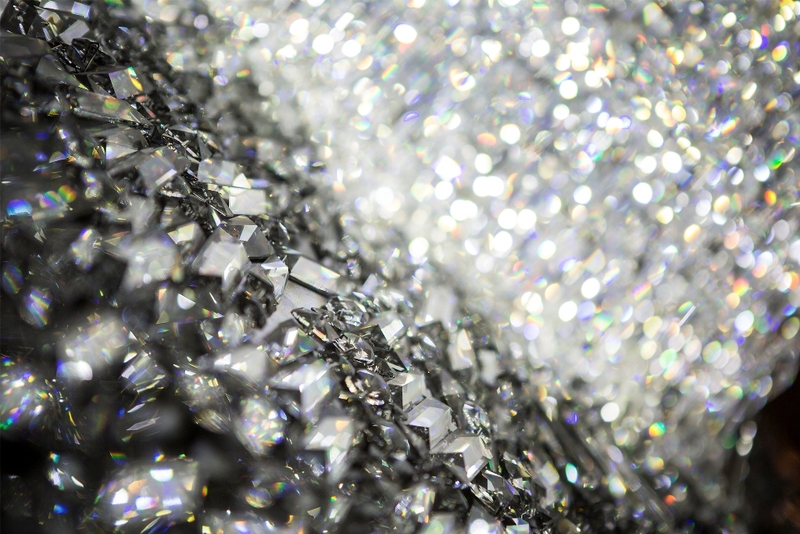 Swarovski Crystal Palace is a revolutionary project that has aimed to create signature interpretations of light and design using the emotive medium of cut crystal. 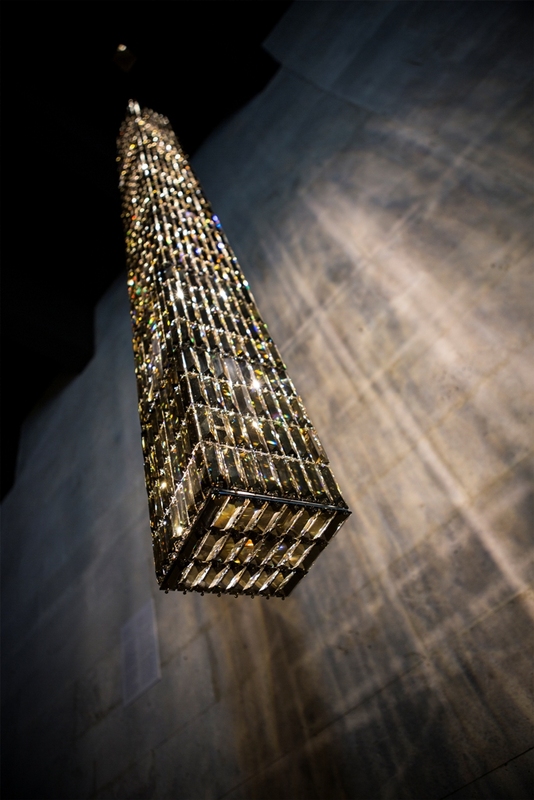 Whilst celebrating and reinterpreting the rich traditions of the chandelier, Swarovski Crystal Palace has broken barriers, played with the rules and opened a new chapter in the history of lighting, art and design. 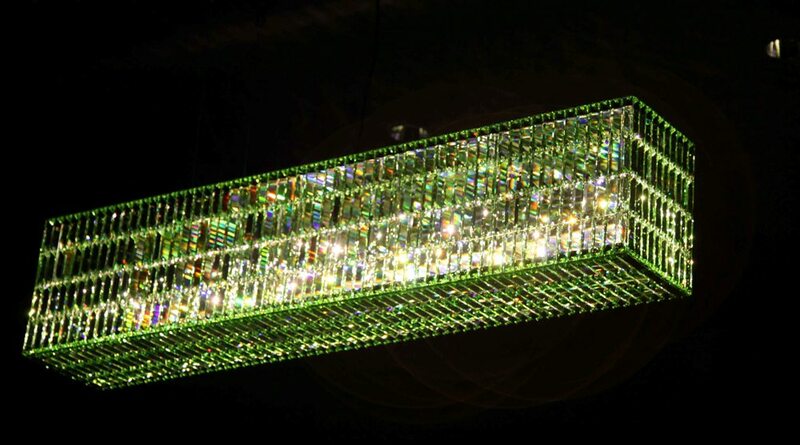 Swarovski Crystal Palace has worked with some of the world’s foremost and collectable designers. 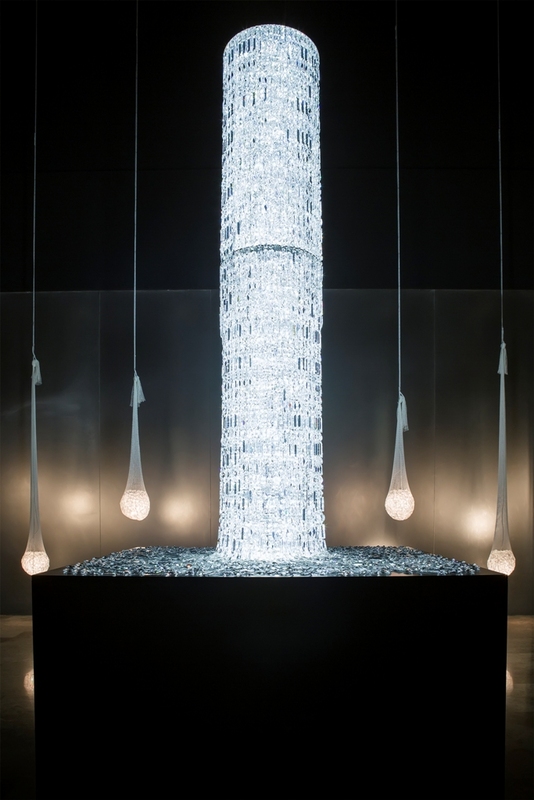 Designed by Belgian architect Vincent Van Duysen for Swarovski's Crystal Palace series in 2003, the Cascade chandelier is a stunning work in the collection. Vincent Van Duysen’s aesthetic is characterized by a mixture of simplicity and sensuality and a preference for primary forms and compact volumes. 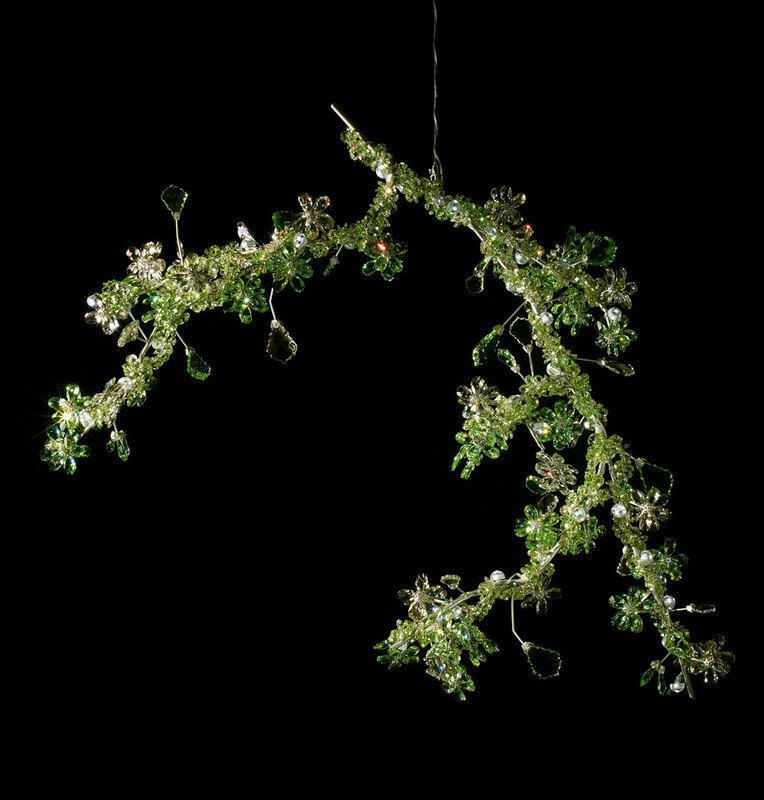 Blossom is a delicate chandelier of twisted bejeweled blossoming branches inspired by Netherlander designer Tord Boontje's interpretation of nature and the emotional qualities of Swarovski crystal. His work places equal emphasis on emotion and design, drawing on the belief that modernism does not mean minimalism and that contemporary design need not forsake tradition and that technology does not abandon people and senses. 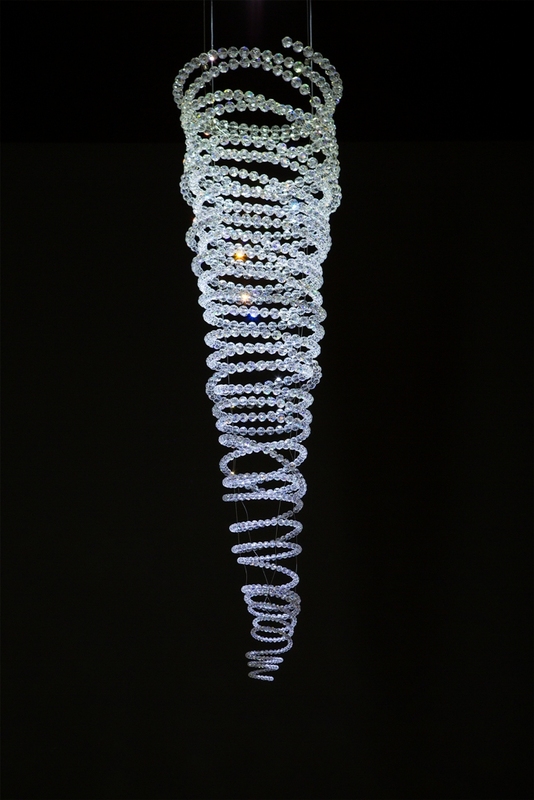 Part of the original Swarovski Crystal Palace collection in 2002, George Baldele's Glitterbox chandelier is a timeless and distinctive design. Baldele describes the design as a huge block of ice, floating in the air, glittering from inside and out. 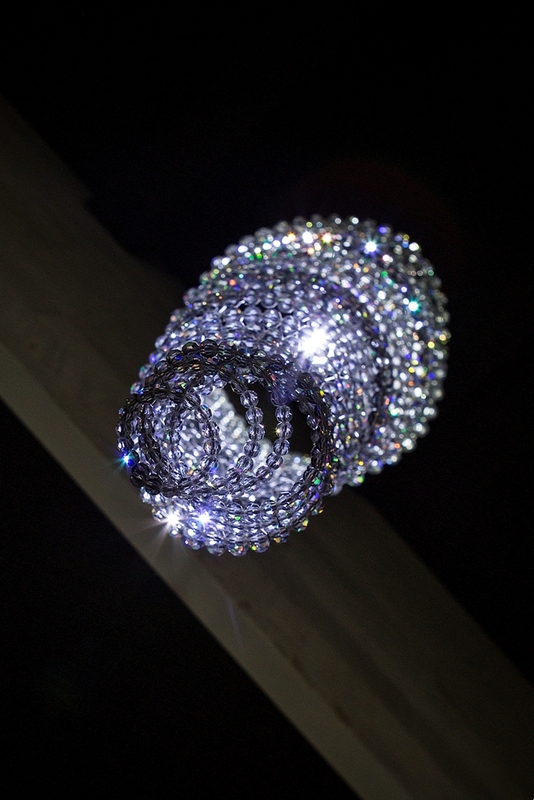 Glitterbox is available in several sizes as horizontal and vertical chandeliers. Inspired by the destructive power of tornados, Michael Anastassiades has constructed dynamically brilliant vortices for Tulsa 2, using Swarovski crystals to create a sense of the interplay between light and wind.